We now have several units around Greece and the Islands. The beautiful Islands of Crete and Rhodes offer you the chance to experience the warm hospitality that is simply Greece. From snow capped mountains to golden sandy beaches and a wealth of historical sights, the Greek Islands have something for everyone. The unit in Crete, Mesogeois has to be seen to be believed; not only do they offer first class dialysis treatment; they also have a superb swimming pool complex and café facilities for the use of patients and their families. Situated close to Heraklion in a landscape of captivating beauty, Mesogeios is the ideal location for a perfect holiday. We also have units in Athens, Kalamata, Serres, Chalkida, Santorini, and new units for 2019 in Chania, Corfu and Halkidiki. The unit is located near Heraklion, the unit accepts the EHIC and provides for both single and double needle and dialyses every day accept Sunday. Transport is provided from surrounding resorts (mileage limit applies) Amoudara, Gouves, Gournes, Agia Pelagia, Kokkini Hani, Hersonisoss and Malia are all areas transport is offered to. We have a unit situated in Koskinou that accepts the EHIC. The unit is within a hospital and is approximately 4KM from the resort of Kallithea and the popular resort of Faliraki is approximately 7KM away. The unit can provide transport at a cost and is open for dialysis Monday - Saturday. This is a city with a long history and a beautiful resort, which provides guests with wide range of activities and excursions. In addition to delightful beaches, parks and reserves, vacationers are welcome to visit modern sport centers and amusement parks. Gourmet tourists will definitely enjoy many restaurants, and shopping lovers will find much pleasure in making a walk in the malls of this city. Archaeological Museum, which is located in the central region of Chalkida, is surely one of those sights that cannot be missed. The dialysis unit accepts the EHIC, and opened in 2010 is located on the 3rd kilometer of the Chalkida-Thiva National Highway. This strategic location was chosen in order to accommodate the needs of the wider are of Evoia, Thiva and Leivadia. We have two units in Athens, one in Palaio Faliro and one in the Pallini area, both accept the EHIC and offers dialysis every day except Sunday. The unit provides for both single and double needle. Athens is the historical capital of Europe, with a long history, dating from the first settlement in the Neolithic age. In the 5th Century BC (the “Golden Age of Pericles”) – the culmination of Athens’ long, fascinating history – the city’s values and civilization acquired a universal significance. Over the years, a multitude of conquerors occupied Athens, and erected unique, splendid monuments - a rare historical palimpsest. In 1834, it became the capital of the modern Greek state and in two centuries since it has become an attractive modern metropolis with unrivalled charm. Santorini (also known as Thira) famed for its sunsets, wine and beautiful rugged coastline is arguably the most dramatic of all the Greek Islands. Created from a volcanic eruption in 1450 BC the Island is left with volcanic cliffs overlooking black and red coast, against the sparkling Mediterranean. 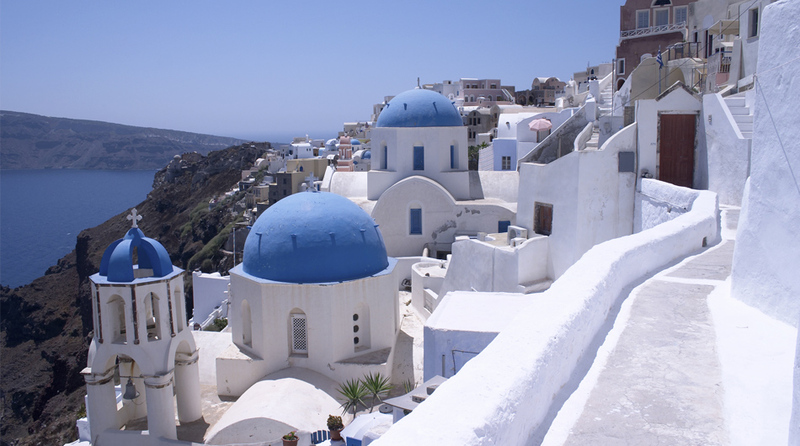 It’s not just the geological landscape that turns heads though, with its whitewashed buildings clustered around central squares, blue domed churches and never ending vineyards Santorini is Greece at its best. The whole complex of Santorini Islands is still an active volcano and probably the only volcano in the world whose whole crater is in the sea. Barhoppers and gourmets will love the lively tavernas and restaurants where of course freshly caught fish is always on the menu. The glamorous little town of Oia with is quaint narrow streets and smart boutiques is perfect for a spot of shopping, this is also the place to witness the best sunset on the Island. The dialysis centre is situated in Pyrgos just 1km from the islands capital of Fira and 2KM from the airport and benefits from breathtaking views of the Island. The unit is equipped with state of the art Gambro machines and complies fully with universal precautions and accepts the EHIC. We are excited to announce THREE new units for 2019 in CHANIA, CORFU and HALKIDIKI. All units feature free WiFi and individual TV’s. Complimentary snacks, coffee and refreshments. Each unit is equipped with modern - top of the line – Fresenius® 5008s HDF CorDiax® HemoDialysis Machines. Because having a fancy dialysis machine is not enough, all these units use strictly Fresenius FX-classix® and FX-Cordiax® dialyzers with helixone® membrane. Chania is one of the most internationally popular municipalities of Crete. This is due to its rich heritage, both in places of significant archaeological importance and in the innumerable preserved monuments in the city of Chania and in other areas of the municipality, evidence of its long history. Chania’s infamous Venetian harbor is just 12 minutes from the Nephroxenia dialysis unit, here you can explore the narrow shopping streets or rest at the waterfront restaurants that offer a great variety of food, admiring an atmosphere similar to Florence and Venice but with the distinctive touch of the Cretan culture. Located in Perivolia Therissou, the clinic is just 10 minutes away from the cultural and tourist center of Chania, and only 3 minutes away from Chania’s general hospital. EHIC is accepted. Local resorts of Agioi Apostoloi, Chania centre and Gerakini are all within 2-6KM from the unit. Corfu, the second largest of the Ionian Islands, was inhabited since the Palaeolithic period and is bound up with Greek mythology. The so called “Island of Phaeacians” is where the mythical sea adventure of Homer’s Odyssey (Ulysses) unfolded. With a breeze of Venetian, natural, historical and archaeological interest, a historic city-jewel and pristine beaches with crystal clear waters on a green background, the island of Corfu attracts a wide range of travelers. Nephroxenia Corfu is established in a key location of the Corfu island, very close to the city center, the airport and the harbor and just 1.5km from the inter-connected General Hospital. Holiday resorts in Kontokali, Alykes Potamou, Emporiko and Gouvia are all under 5KM from the unit. EHIC is accepted. 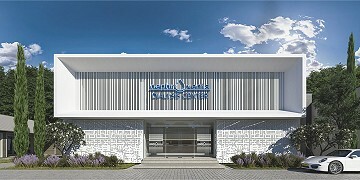 The dialysis unit is built within a 3 acres area, a 1.700m2, a 2-level state of the art building ready to cover the demand for quality dialysis in the vast Chalkidiki area. The treatment room orientation offers un-blocked sea-view for all patients. Located in the middle of the southern touristic part of Chalkidiki, in Gerakini, exactly in the middle between the capital of Polygyros, Nea Propontida (Nea Moudania) and Sithonia. Moreover, with locating Chalkidiki clinic in Gerakini, patients willing to visit the Holy Mountain (Aghio Oros) are able to. Resorts close by of Gerakini (2.1km) and Psakoudia and Kalives under 8KM away from the unit. EHIC is accepted.